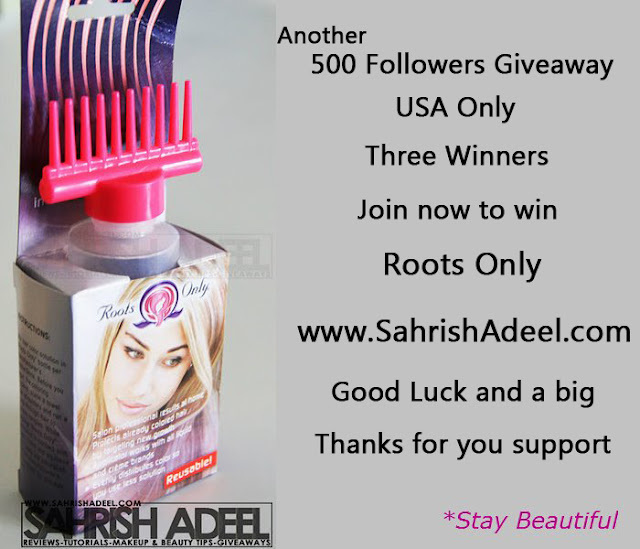 Roots Only Giveaway - USA only - 3 Winners | Sahrish Adeel - Malaysia based Pakistani Beauty & Lifestyle Blogger! 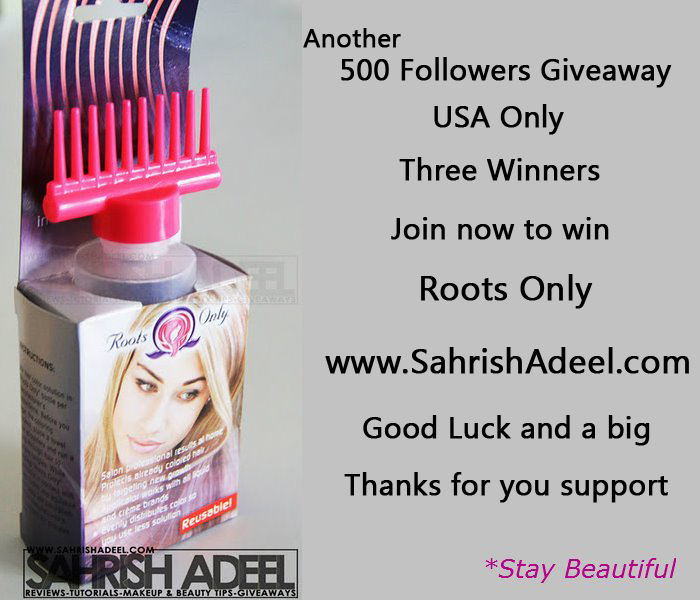 To thank you all here is another giveaway on 500 followers target, specially for all my fans in USA. Join now to win this awesome gift. Check out the review for this product to know more about it over HERE. Three Lucky Winners for Roots Only Giveaway.